Editor Douglas Black argues that designing a non-budget computer with a soldered SSD is a great leap in the wrong direction. 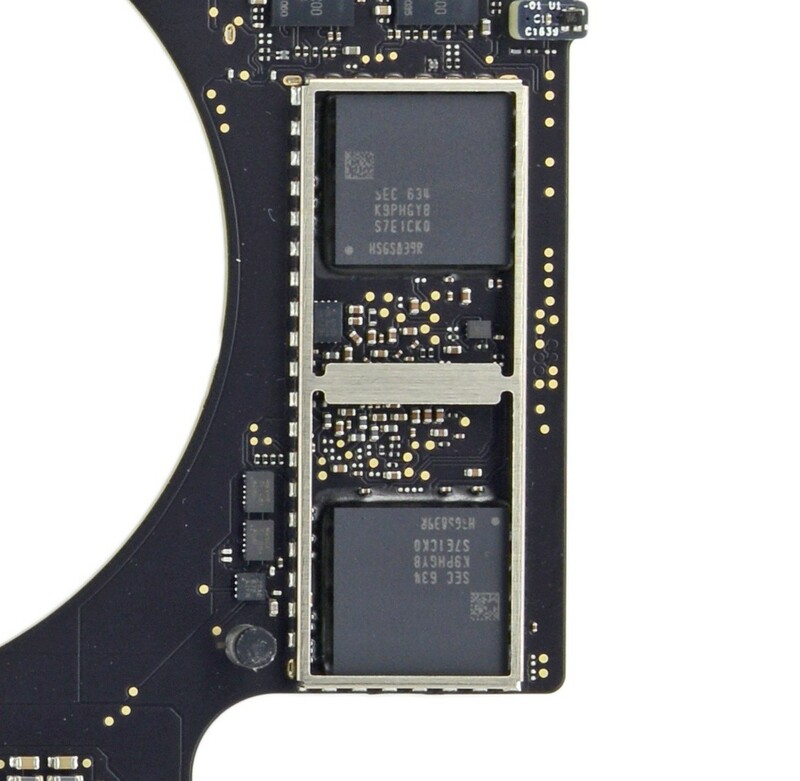 The Apple MacBook Pro and Microsoft Surface Laptop: two sides of the same (soldered) coin. With the release of Microsoft’s Surface Laptop, the Redmond-based technology giant has again found itself compared to the likes of Apple. How? They didn’t join Apple by releasing a laptop with entirely future-proofed ports by going all USB Type-C — in fact, the Surface Laptop has no USB Type-C at all. So what do these two leaders in computing have in common? They are both helping make laptops disposable commodities by soldering the storage drive to the motherboard. 1. If something goes wrong, you’re stuffed. This is pretty obvious, but if there is any issue with your SSD then you’re looking at a complete motherboard replacement. This isn’t too bad if your laptop is under warranty, but once your coverage expires, you’re looking at a repair bill nearly the cost of a new laptop instead of at most a few hundred USD for a new SSD — if you can even find repair parts (thank you Apple for continuously putting down Right to Repair bills). But that’s okay, because you back all your data up weekly… right? 2. It probably isn’t enough. Let’s talk about storage capacity. While Apple isn’t so ballsy as to offer a soldered 128GB SSD on their newest notebooks, Microsoft’s lowest-end Surface Laptop boldly gives you 4GB of RAM and 128GB of storage for the low price of US$1000. However, even 250GB isn’t enough for a PC these days: Windows 10 quickly bloats up to 50GB, then consider the addition of a few programs, media files, and games, not to mention if you utilize the hibernation/hybrid boot features. Oh, and of course expect to lose your entire RAM size in storage space. Before you know it, you’ll be left with just a few dozen gigabytes of free space. But even if you are okay with using 50-75% of your storage out of the box, there is also the issue that many SSDs take a significant performance hit once 75% full or more1. Beyond this level, the cells that make up the SSD will be partially filled with data. On an SSD with plenty of free space, data can be quickly written directly to the empty blocks. Once most of the blocks are partially full, however, they must be first read before being written to, and this additional operation is the technical reason that SSD performance takes a hit on a mostly full drive. While it is true that many manufacturers over-provision storage space so you will never completely fill the drive, leaving 25% of the drive free is still a good guideline, and the higher quality SSDs that avoid these downsides are never offered as a standard. Thus, if a (non-budget) laptop has a soldered SSD, it’s a trap to buy anything less than 512GB. The end result is great for companies and terrible for consumers: they can charge whatever they want for the 512GB or 1TB upgrade (usually with un-named drives) that they know that you know you need. 3. It may not last as long as you think. SSDs are much more reliable than a spinning hard drive, but this is no excuse to solder them to the board as if they are as everlasting as the tides. There are different types of NAND memory cells used for SSDs, ranging from enterprise-grade Single Level Cell (SLC) to Multi Level Cell (MLC) and Triple Level Cell (TLC) at the top and bottom of the consumer-grade SSDs respectively2, 5. While it could be argued that Apple uses relatively high-grade proprietary MLC SSDs, the same cannot be said of Microsoft, which tends to use cheaper produced-for-OEM or off-the-shelf TLC SSDs. Where a consumer-grade MLC can be written to at least 10,000 times, a typical TLC can only be written to 3-500 times2. Thus, programs that write frequently to the disk are the bane of SSDs — especially TLC ones. Not only do TLC SSDs notoriously experience heavy performance degradation under sustained loads (such as heavy file transfers, or video recording/rendering)3, but things like the Windows page file, audio recording, video rendering, or programs like Illustrator or After Effects are especially punishing to the life of these drives: it isn’t uncommon to see 10% or more wear on a TLC SSD with these kinds of usage scenarios after just a few months. What’s more, the industry is steadily moving towards TLC rather than MLC or SLC SSDs. According to TrendForce, TLC SSDs are expected to surpass 75% of the market this year4. The 3D V-NAND technology used by certain Samsung, Crucial and Intel drives can alleviate the performance drops under sustained loads and increase the longevity of TLC drives quite a bit, however drives using this technology simply aren’t chosen for these machines. 4. It isn’t “just” Microsoft or Apple. Some people might argue that it’s just one company or a few products here and there, but it goes deeper than that. Apple sets expectations for the general consumer public, and Microsoft’s Surface line is meant to steer the unruly leviathan that is the PC industry. We might have come to expect this kind of walled garden from Apple, but Microsoft is setting a worrying example for the combined base of PC manufacturers. This is the change — not Windows 10 S — that makes me worry about where this ship is headed.